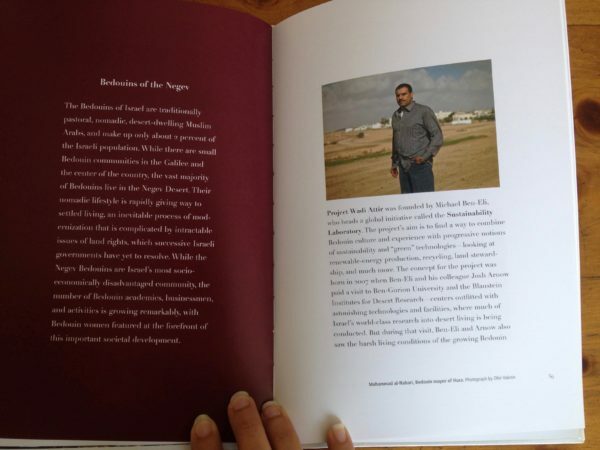 We are proud to announce that our project has been featured in The Desert and the Cities Sing: Discovering Today’s Israel, an interactive “treasure box” by Lin Arison and Diana Stoll, and featuring photographs by Neil Folberg. 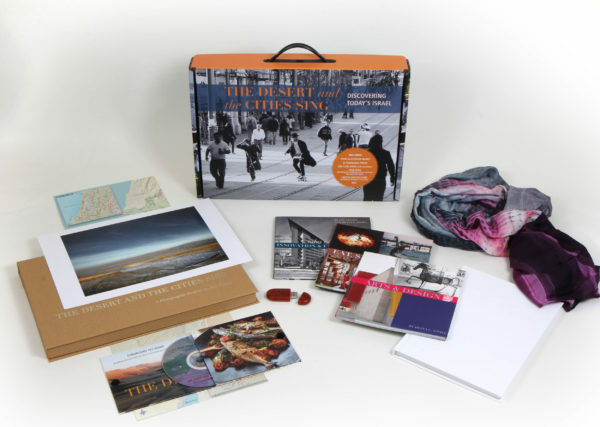 The box–which includes four full color books, a portfolio of 25 frameable photographs, four documentary films, a flash drive featuring animations about Israel’s innovations, a limited edition scarf, and a map of Israel–is Ms. Arison’s loving attempting to see the country through fresh eyes, and to recognize all the ways it has grown and changed. You can learn more about the background of The Desert and the Cities Sing here. Ms. Arison visited Project Wadi Attir in 2012, long before the structures had been built onsite or our first products had been sold or tasted. But she saw the potential there, and she chose to feature us in one of the books in her treasure box, titled Solutions from the Land. You can read the article about Project Wadi Attir in its entirety here. You can also buy the treasure box here. We highly recommend it!